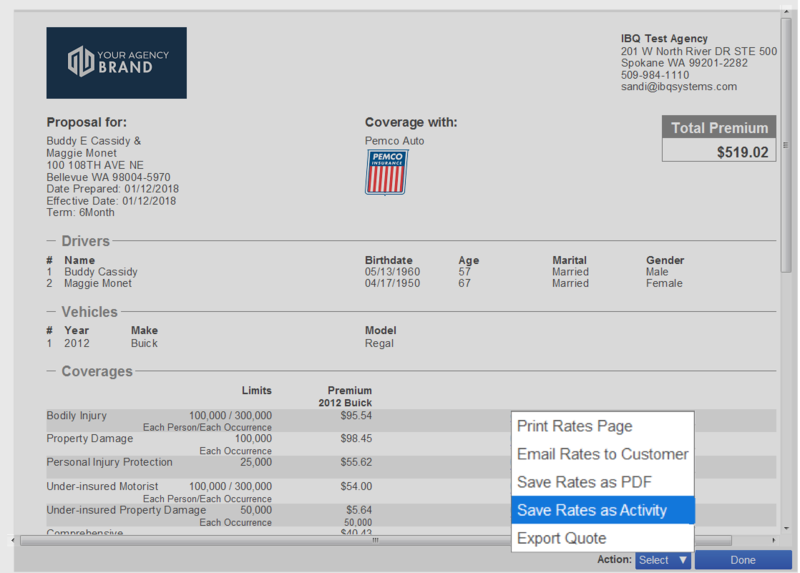 Now save your customers’ Rates page to an Activity. Click the Select dropdown at the bottom of the Rates page. 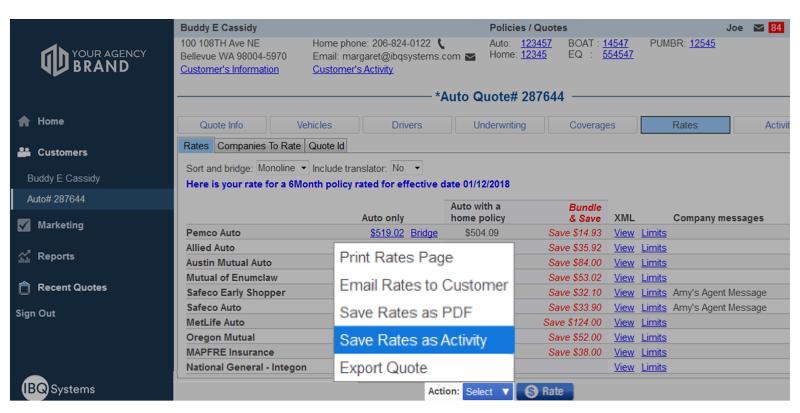 This feature allows an agency to save, email or export quotes with one click. You can also save, send or export carrier specific quotes. Click the same Select dropdown at the bottom of the page.